We do a LOT of grilling at my house. Living in the South, we can grill all year long. 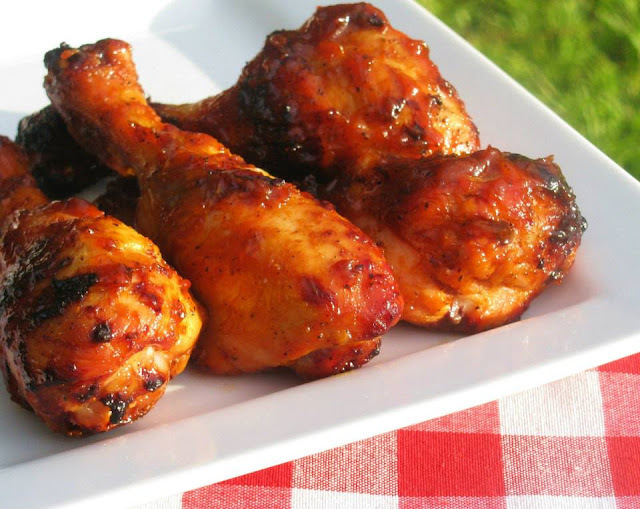 This is one of my favorite recipes, kids love it, adults love it, everybody loves grilled drumsticks dripping with this sweet and spicy sauce.